HTC managed to turn some profit lately thanks to cutting cost, company is in the middle of restructuring and hopefully this Taiwanese manufacturer will find a way to sell more devices, because they just don't sell enough devices at the moment. HTC has released tons of devices over the last few months and most of those are mid-range and high-end handsets. HTC has already released some low-end devices in that time, the company has released a Desire 310W handset for China Unicom back in March 2014. The device's starting price was 999 Yuan ($163), which is way too expensive for this handset if you ask me. Chinese retailer Suning is now offering this handset for purchase at a significantly lower price, only 499 Yuan ($82). 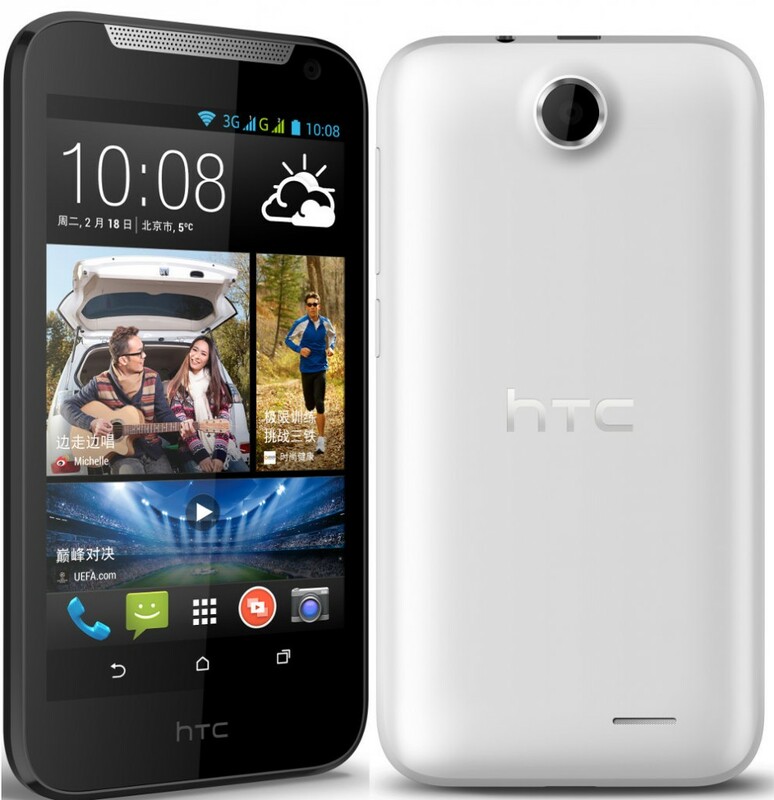 HTC Desire 310W features a 4.5-inch FWVGA (854 x 480) IPS display along with 512MB of RAM and 4GB of expandable internal storage. The handset is powered by MediaTek's MT6582M quad-core processor clocked a 1.3GHz. On the back of this device, you'll find a 5-megapixel camera while there's a VGA shooter up front for your selfies and what not. This is dual-SIM device and it ships with Android 4.2 JellyBean (with Sense UI on top of it) and a 2,000mAh battery. The phone is available in Black and White colors. This handset measures 132.4 x 68 x 11.3mm and weighs 140 grams. Bluetooth 4.0 and the usual array of sensors are also included in this package. Desire 310W support 3G connectivity, no 4G available here. If you live in China and are looking for an entry-level handset, this is something you can consider. 499 Yuan is relatively cheap, but considering this handset's internals, I can't exactly recommend anyone to purchase it. 512MB of RAM is simply not enough of RAM and there are a ton of choices out there which sport at least 1GB of RAM and perhaps cost a bit more than this device. Manufacturers rarely release handsets with 512MB of RAM lately, so I don't believe this is such a good option no matter which way you look at it. But for those of you who are interested anyway, you can get this device from Suning (if you live in China) for 499 Yuan ($82).